Are you ready to start a Conspiracy? Last week I posted about how Christmas has been for me the last couple of years. Now I was wondering how yours is going this year? Are you truly feeling the Christmas spirit? Or are you fighting the mall traffic? Are you feeling the need to pepper spray someone so you can get that oh so perfect gift that to be honest, the person will forget in a month or 2? [AC] Promo 2009 from Advent Conspiracy on Vimeo. I want to say thanks to the companies like Walmart, Target and other big companies that have pretty much ruined Christmas for me. Over the last couple of years I’ve noticed something missing during Christmas time and I have always wondered what it is. Is it lack of a White Christmas? Is it just living in a different city? What? After talking the other night with Misty, I think I have it. Things. Or the need of people in this world to have things. Hey what are you getting aunt sue? Well I think I need to get sister Jane this. I think grandpa Joe will want this. The real meaning of the season is slowly being ripped away from us by people wanting things and companies pushing sales down your throat. Hey it’s our 1 day sale. Hey it’s our 3 day amazing Christmas sale. Well sale this. I’m tired of it. You can’t watch tv or listen to the radio without hearing some kind of promotion for the next sale. Funny how if you add up all of the x day sales, you will end right at Christmas Eve. Now I know companies love Christmas time for their budget. I did live in a household that lived off of retail. I know what the Christmas season means to these companies. But I think we have reach a point where enough is enough. I mean people are fighting in Walmart for crockpots. People are willing to do just about anything to make sure little Johnny gets his new XBox. Now I am also not against buying anything for people. In fact I love going after work someday and going shopping for Misty. I love taking a day and going out with Misty and going shopping for the boys. It’s just with so many people suffering in this world, fighting over a crockpot is just stupid. Hundreds of people are sleeping homeless tonight around Lexington but lets sleep over night in a tent in front of a store to get Johnny his Xbox. Families all over the US are homeless after loosing their jobs but lets get that credit card so we can save 10% on Aunt Sues sweater. As I try and ignore the madness, I turn to the radio to listen to Christmas music thinking that will get me in the spirit. Nope, the radio station around here that plays non stop Christmas music started way before Thanksgiving and if you listen to it enough, you will get tired of it real quick. I bet I could list about 8 to 10 songs with the person who sings it and you would hear at least 1 or 2 within 15 minutes of turning the station on. And most of them are about how great Christmas is. Keep in mind that most of them don’t even mention Jesus at all. Again I love hearing Rudolph and Winter Wonderland but not nonstop. Would it kill someone to hear Silent Night and Away in a Manger every now and then? I’m not going to go run around screaming don’t take Christ out of Christmas. It kills me to hear people scream that in December but never say a word the other 11 months. So what am I going to do? I’m going to start by doing what I think God wants me to do. I’m going to teach my boys that Christmas is not about getting gifts but giving them. I’m going to show them what it means to be the hands and feet of God. Our church on Christmas Eve is going to host a dinner for families that are less fortunate. But we will not stop in December. A couple of months ago we volunteered at the Lighthouse Missions in Lexington. The boys loved serving and so did me and Misty. I can see us doing that again soon. So. What are you going to do? Are you part of the problem or are you going to be part of the solution? 14 He looked at them and said, “Go show yourselves to the priests.”t And as they went, they were cleansed of their leprosy. 1. Thanks for a God that loves me unconditionally and would send his Son Jesus to die on a cross for me so that I can spend eternity with him. 2. An amazing wife, Misty, that loves me beyond belief. I in no way deserve a lady like her. I’m just thankful that she loves me despite my failures as a husband and father. The last almost 14 years have been great and I can’t wait to explorer our future together. Your love for our family is the glue that keeps us together. 3. My sons who I love. They are all unique in their own ways but all three love God and each other. I know sibling rivalry is real but in the end, those 3 boys love each other. God has gifted them each in their own ways and all three have been blessed with a great personality and intelligence. 4. An amazing church with an amazing pastor who is not afraid of teaching the Word of God for what it is and not sugar coat it to make someone feel better. Cameron, you are an amazing person and don’t ever change and don’t ever let anyone tell you that you are doing it wrong. 5. My parents who have been there for me through the good times and especially the bad times. 6. Great friends who I can depend on. I know I can call my friends to help me with what ever I need at any time. So, what is on your list? Post it in the comment section below. 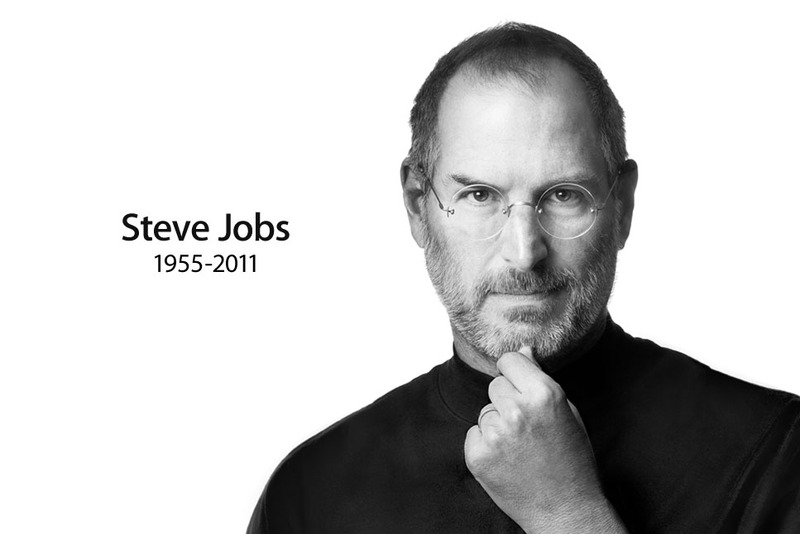 So, I’ve went back and forth in my mind how I wanted to write a blog post to honor the passing of Steve Jobs. Did I want to take the path of you never know how long you have on this planet or what. That would be easy, especially with the quote from Steve above. And after seeing the movie Courageous, it would be even easier. But, I think that would be taking the easy way out. I think I will take a different road. Fitting don’t you think? I mean the success of Apple is due to Steve taking a different road. Going places no one has ever been. Jobs and Steve Wozniak made personal computing a reality. I mean how many companies including IBM said no to personal computers? Sometimes if you want to make a mark on this world you have to take a different path. You have to be willing to take the road, not less traveled, but never traveled. You have to blaze a new trail and then have the leadership to take people down that road. Now keep in mind that I don’t own any Apple products and probably never will. I am a Google/Android fan and will probably stay that way. But I have to honor what Steve Jobs has done for the PC and smartphone/table industry. He has pushed the envelope so far out that everyone has struggled to keep up. He has singled handily pushed RIM almost out of business. Google is being pushed by Apple and Apple is being pushed by Google. Both companies only get better with this which with Steve’s passing is the problem facing the world today. Who is now willing to step up and be the next great visionary? The federal government has already shut NASA out. Children these days don’t want to be astronauts. Why? We are taking the road always traveled. No more shuttle missions and nothing to replace it. Schools these days allow kids to take the easy way out. If our children continue to take the easy road then we won’t have any more new innovations. We won’t have the wow factor anymore when it comes to new hardware or software. We must start pushing our children to be the next Steve Jobs. Apple once ran an ad campaign title Think Different. Our kids must start thinking differently than we did. We must push them in that direction. One of my biggest challenges in life is raising my boys. And not just raising them but raising them in a way that is honoring to God. Even with as hard as it is, I think we are somewhat on the right path. Some good friends of ours just recently moved back home to Missouri just a few miles north of Joplin, an area that was just devastated by an EF-4 tornado. Bryce works for a church in Joplin and they are out loving on people and helping in any way they can. His latest post on twitter talks about how emotions are catching up with him and I can see why based on the photos coming out of the area. They are in desperate need of materials and also prayer. If you have time, please consider donating to the Red Cross but also please keep these people in your prayers, not only those effected by the destruction but also to those out helping. I haven’t forgotten Alabama, they are still in need so don’t forget them. It’s just this time to me, it’s hit a little closer to home. Keep strong Bryce and keep loving on those who need it. We got your back in prayer.